What do Sgt. Peppers, Meddle, White Light/White Heat and Doolittle have in common? They are all among the respective bands’ best albums, with the absolute masterpiece at the very end of it. It’s 1989 and Pixies are at the center of the emerging alternative rock scene. The Pixies formed in Boston in 1986, when singer Black Francis and lead guitarist Joey Santiago met at University. Kim Deal was the only person that responded to their absurd advert for a bass player and so she joined them without ever having played the instrument. After contacting drummer David Lovering and a random look in the dictionary they had a new band: Pixies. After releasing a first EP (Come On Pilgrim), the first LP quickly (it was completed in two weeks) followed in the beginning of 1988: Surfer Rosa. The raw guitar sound with little surf rock ingredients and the yowling voice of Francis gained the band acclaim in Europe. So as measured by their record sellings, the Pixies were initially most successful in the UK. In the US, their music found its way to the listening crowd through the underground music scene, which was flourishing during the late eighties. While the radio stations played new wave and hair metal, youngsters were looking for pure guitar music and the Pixies offered them exactly what they desired. Together with bands like Sonic Youth they even nurtured the new subgenre of ‘grunge’. Kurt Cobain himself loved the band so much he wished he was in it. You can ask yourself which music stimulated the Pixies themselves to pick up this raw rock sound again. Black Sabbath and Led Zeppelin (especially Led Zeppelin II) are often cited, just like Neil Young & Crazy Horse’s distorted guitar sound. But each time I listen to Doolittle, it sounds to me like a modern remake of The Beatles‘ White Album, with short uptempo tracks like ‘Glass Onion’ (with muscular intros and a scream now and then), happy melodic songs like ‘Bungalow Bill’ (with ‘naked’ verses and heavily orchestrated choruses) and simple musical intermezzo’s like ‘Why Don’t We Do It in the Road’. First of all, Doolittle has a much cleaner sound than its predecessor, probably due to the quadrupled budget. Contrasting with this sound are the dark subject lyrics, ranging from surrealism to death and whores. No surprise the original album title was Whore, as Francis (who wrote all tracks) was inspired by the biblical figure of the whore of Babylon. All songs are separate shots of different kind of energies, which are launched at such a speed by their masterly intros that they’re already over before you know it. 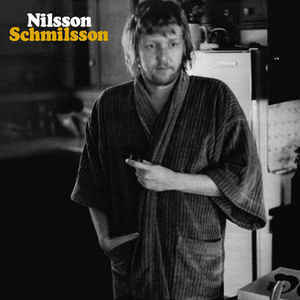 I think there’s only one ‘weak’ track on it (‘Dead’), and even that one has a nice sinister intro. The other 14 tracks can be categorized in four kind of songs. First there are the happy sixties sounding songs that can bring you into a good mood on every moment of the day. ‘Wave of Mutilation’ for example has some very melodic vocals, reminding of the early Velvet Underground. Didn’t know until recently that the song is actually about suicidal Japanese businessmen. 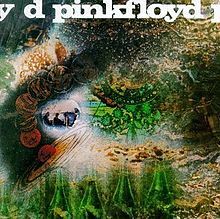 Even better is ‘Here Comes Your Man’, including catchy Byrds-style guitar riffs and some beautiful vocal harmonies in the chorus. No surprise this song was the commercial break-through for the band. 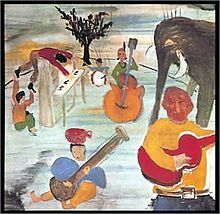 At the same level is ‘Monkey Gone to Heaven’, which gave the inspiration for the album cover. It also has the riffs and harmonies, with the lyrics being about environmental disaster. The song features one of the absolute highlights of the album, being the crescendo bridge towards the end where Francis screams that God is seven. The ultimate sixties song on the album however is without any doubt ‘La La Love You’. It has this awesome intro and it’s sung by drummer David Lovering, who happens to sound exactly like The Smiths’ Morrisey. Still melodic but averagely shorter and slower songs are ‘I Bleed’ (with this typical Pixies bassline), ‘Mr. Grieves’ (a kind of beatlesque sing along), ‘There Goes My Gun’ and (to a lesser extent) ‘Silver’. ‘There Goes My Gun’ always sounds to me like a retake of ‘Here Comes Your Man’, with the title covering all the songs’ lyrics. ‘Silver’ to the contrary prolly is the strangest song on the album, however very interesting. I think I can describe it best as Kate Bush meets some seventies instrumental western band like The Buoys. So are there also any longer tracks on the album? Yes, ‘No. 13 Baby’ and ‘Hey’, lasting 3’51” and 3’31” respectively. The first one really stands out for me because of its awesome instrumental outro. For one time, it’s not about the intro and the band takes its time for some pure instrumental performance like they did on Surfer Rosa. ‘Hey’ forms a beautiful tandem with this one and is even better, definitely a personal favorite. What’s left are those songs that really defined that typical Pixies sound throughout the years: pounding drums, distorted guitars, yowling vocals and the characterizing soft-loud approach. First of all the album opener: ‘Debaser’. Already during the first 30 seconds of the song you get the idea that this album is about guitar music. Call it a ‘grunge-light’ song, with it’s clear bass notes and the surrealistic lyrics with references to movies like Eraserhead and Un chien andalou. This song immediately flows over into ‘Tame’. It can’t get more ‘quiet dynamic to sudden loud’ than this. The verses feature a simple bassriff and basic drums, ready to end up in a screaming chorus each time, bringing aggression into alternative rock. 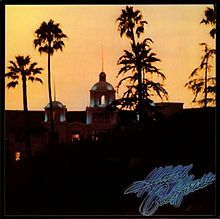 Another ‘musical intermezzo’ is ‘Crackity Jones’, but a much more uptempo one than the melodic ‘There Goes My Gun’. Like ‘Tame’, the basic drum is there, the tempo is there and the aggressiveness is there. It just sounds like some crazy Spanish punk song, and happens to be about a former roommate of Francis, a ‘weird psycho gay’ according to his own words. But the absolute masterpiece (imho) is of course the final track: ‘Gouge Away’. The delicious guitar riff, the sharp vocals, the perfect soft-loud progression, this will always be an all-time classic for me. 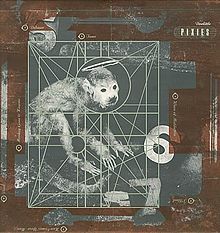 Pixies released some more albums after Doolittle, but disbanded already in 1993 after tensions between Francis and Deal. Francis subsequently persecuted a solo career and Deal had success with her new band The Breeders. However, they never reached the same level again as on Surfer Rosa and Doolittle, two albums that can not be compared because of their different styles, but still both sound like masterpieces. Thom Yorke once said that, while he was in school, the Pixies changed his life. Maybe the same can happen to you, whether you’re in school or not.